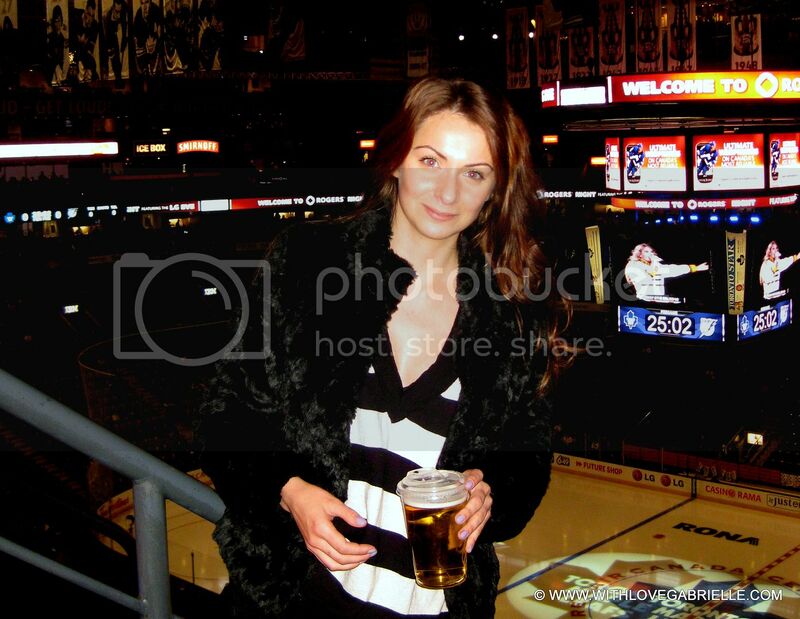 No hockey game goes by without a pint of Canadian beer... :P It's a tradition! 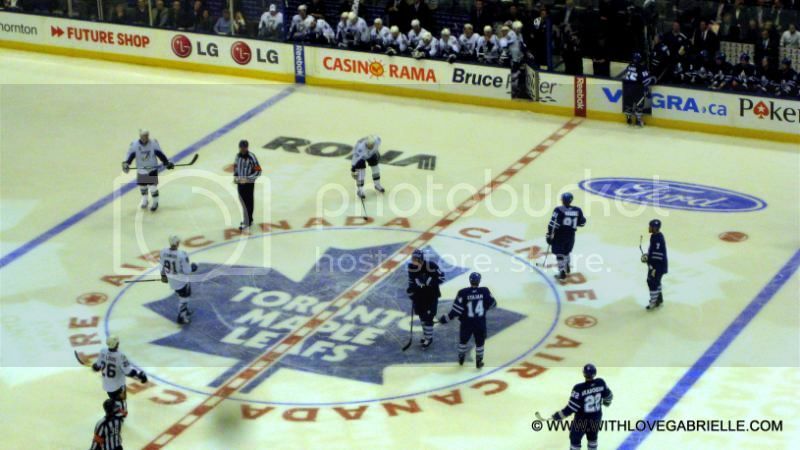 Toronto Maple Leafs are the most valuable team in the NHL ($448 million estimated value in 2008) and along with Minnesota they have the longest running sellout record. 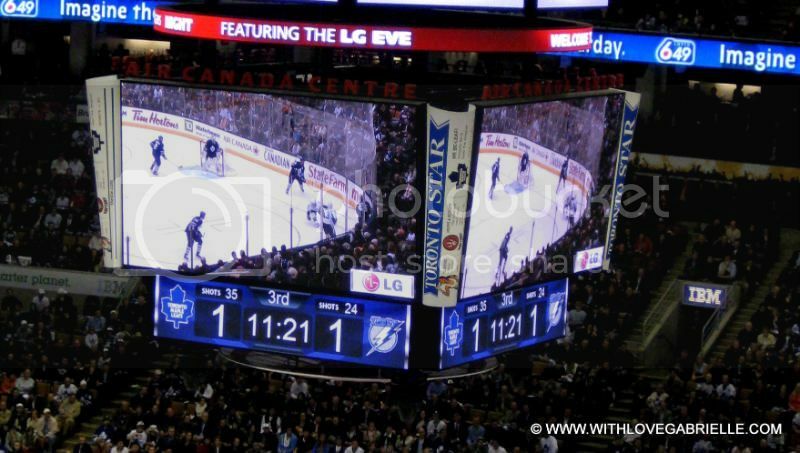 The Leafs have also sold out every single time at the Air Canada Center since October 2002..... 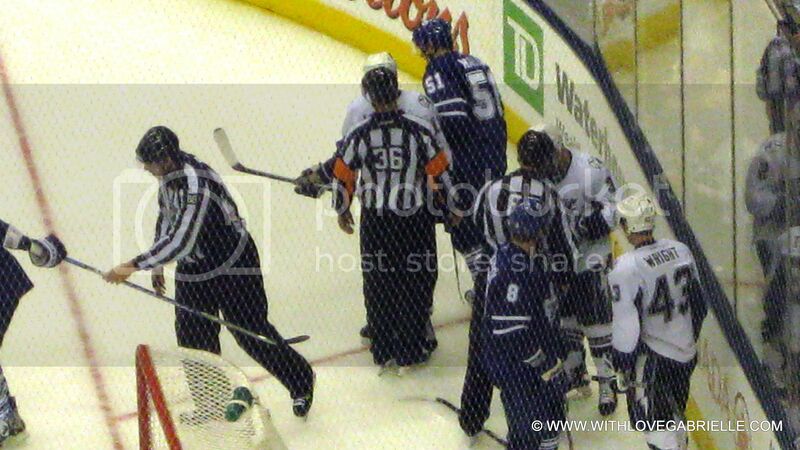 The Leafs are the most important sports team in our city! My outfit consisted of my current obsessions: the fuzzy jacket and knee high boots. I paired the two with a XL Gap sweater (I adore huge sweaters made of very delicate and thin materials, I just love how they drape) and a simple pair of J Brands. It was perfect for the game. I never want to be one of those girl's, who's wearing the highest heels and the shortest skirt with the most exposed cleavage at an event that is dominated by men! Casual is the way to go. Well, lovelies I am off to catch some ZZZzzzz's... it was a long day! But before I go..... Do you have any favorite sports? P.S. Don't forget this week, I will feature one of my favorite bloggers , Sarah Klassen from Haute Design. I would like to send out a huge thanks to Aisha from Reese Bloggt and Jo from Thoughts. Loves. Dreams for featuring me! Thank you ladies!!! AND thank you so much to everyone for your support.